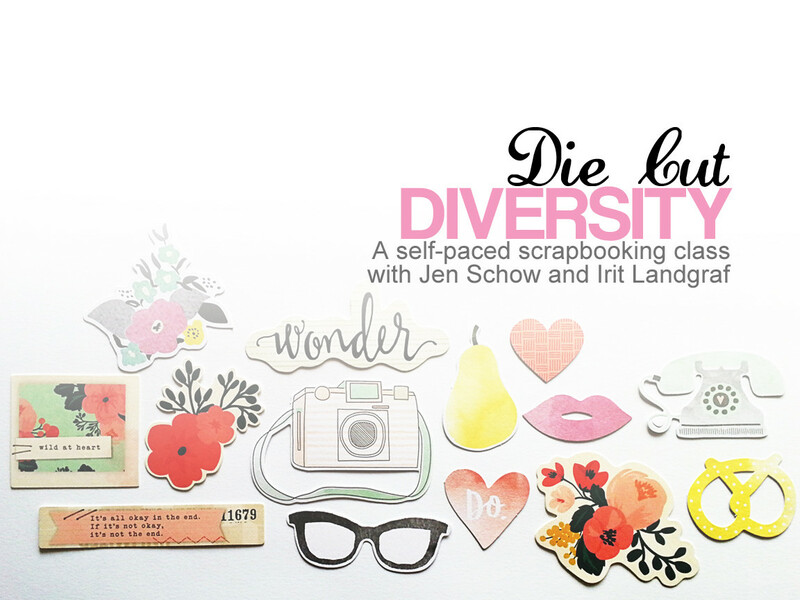 Die Cut Diversity is a self-paced online class taught by Irit Landgraf and Jen Schow. This class if for you if you struggle to use die cuts, have lots in your scrapbooking stash, or if you just want to learn some fresh new ideas for scrapbook layouts! You can watch a promotional video for the course below.